Finding unwanted critters in your home is no fun. Perhaps spiders are gathering a little too close for comfort at night or you have a mice problem. Rodents are not only dirty pests to have around, but they can also cost a pretty penny to remove. Whatever the case, it’s time to call a pest control service. A pest control service can protect your family from rodent infestation or the costly expense of getting rid of wood termites. When you make the appointment with the professional pest control team, it’s important to find out what’s included in the services they offer. Your professional pest control service should arrive on time and in their attire. They should give time for any questions you may have and happily answer each concern and question to ensure that they will get the job done. They will need to move in and outside of your home for a thorough investigation. It is extremely important to note to your pest control company the location you are concerned with. Next they should walk around the inside of your home and spray the interior perimeters of every room. They will know specific hiding places that bugs and pests like to hideout and pay special attention to particular areas where the problems tend to occur. 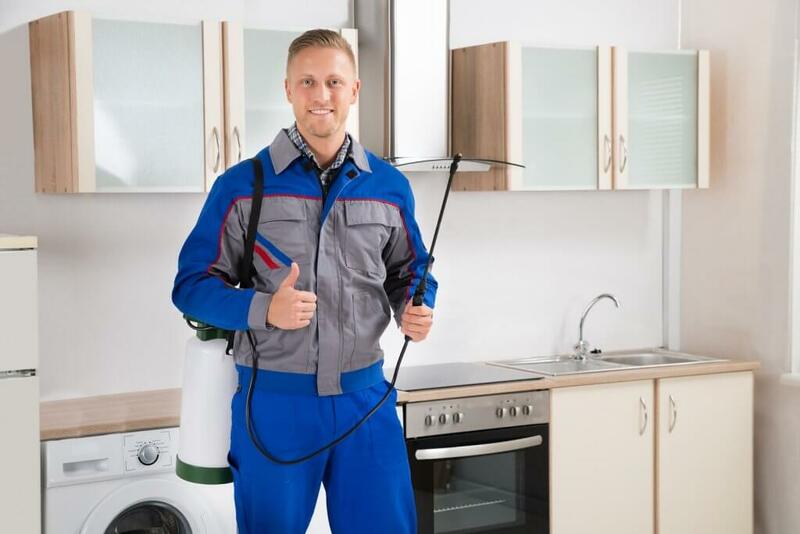 At this point, you should ask your pest control service what kind of insecticides they use and which safety precautions they take while working on your home. Nowadays, most insecticides are safe after they’ve dried and with very little to no odor but it’s important to confirm this with the exterminator. They will walk around the outside of your home next, similarly as they did inside. Windows and doors are easy targets for pests and insecticides sprayed outside of these target areas will create a barrier. Finally, always confirm the warranties provided for their services before they leave the premises. A reputable pest removal service will ensure that their work holds true to their word and will follow up with you in the days ahead. They may even schedule another visit or prompt you to call should any changes occur. This should help you feel relaxed and comfortable that they are doing their job. More importantly, they should should suggest that if their service doesn’t provide complete satisfaction, they will come back for a complimentary extermination. Your pest control service should be as thorough and detailed as possible. Your concerns may stem around the safety of the insecticides or traps and their first priority is to address those concerns. To a reputable company, your safety and peace of mind is more important than making money. Travis Pest Control has been meeting the needs of residents in Stuart, Vero Beach, Palm Beach, and Port St. Lucie since 1967. They put their customers first so the job gets done right the first time. They can help you improve the safety and quality of your life at home with speedy, non invasive examination services. Contact them today for more details!